Children in Silverton study what is living in the waters of the Animas River. “I was water brought to lifted leaves of daffodils and day lilies/Drank into the grace of trees – the aspens like the willows weep.” – from “Drop” by Elephant RevivalTo say “water is life” is indisputable. Water sustains every living thing on this planet. When everyone seems to be at odds, water is the one thing we have in common with everyone in the world. In the U.S., 20 percent of the population’s municipal water flows from national forests. And if you are using tap water in a Rocky Mountain state, you can be almost certain that each drop began as a flake of snow on public lands. In the water-thirsty West, we need to protect these public lands. Can’t we make more water?One long-touted fact is that there is the same amount of water on the planet right now as there was 100 years ago. We always have the same number of water molecules. But many of the molecules are so mobile that the amount of water can appear to change. Lakes evaporate and their liquid water becomes vapor. Air currents can carry away an entire lake and rain down the liquid water somewhere that might not even need it. But facts can be proved wrong. People can actually make water. The technology is not new. An article from thoughtco.com tells how in the late 1700s, “French chemist Antoine Laurent Lavoisier ... was fascinated by combustion reactions. He devised an apparatus to form water from hydrogen and oxygen to observe the reaction.” To read the entire article, visit http://bit.ly/2vjZpOk. You will also learn why the mass production of water via hydrogen and oxygen explosions is not really feasible. How can I learn more?Many people never think about where water comes from. They just flush the toilet, wash their hands and have an iced mocha frappuccino and a muffin made with organic water. Yet we are fortunate in Southwest Colorado to have access to watershed education tools. San Juan Mountains Association, along with Mountain Studies Institute, Water Information Program and Fort Lewis College, present the Forests to Faucets teacher workshop every summer. This workshop encompasses two days of hands-on, place-based training designed around the children’s book, My Water Comes from the San Juan Mountains. Even without the workshop, the book alone takes the reader on an illustrative journey of snow falling high in the San Juan Mountains to becoming the water in a faucet tap. It covers diverse uses of water along the way from mountains to the desert. 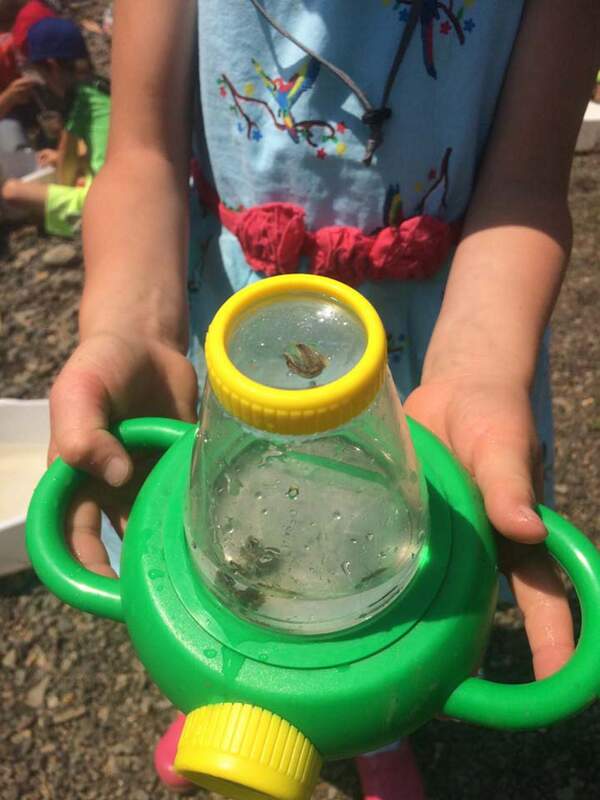 By learning about the local environment, readers experience connection to their place and the natural resources on which they depend. Is there an easier way?There are even simpler ways than reading a children’s book to understand why it matters where water comes from. The next time you are next to a perennial stream, look under a rock. If there are bugs living on the bottom of the rocks, that water supports life and is therefore a good option to treat for human consumption. Water fit for human consumption can be hit or miss, even in the snowmelt-sourced creeks of the San Juan Mountains. Some streams offer a teeming collection of mayfly and stonefly nymphs and caddisfly larva. These magnificent creatures can only survive low levels of pollution in the water – especially toxic heavy metals. Some streams are clearly contaminated by the obvious presence of white (aluminum) or orange (iron) stains on the rocks and banks. But sometimes, the clearest and purest looking water is the most dangerous. Nothing lives in this water. It may be contaminated by arsenic or some other invisible poison. In some cases in the San Juan Mountains, the naturally mineral-laden and crumbly mountains contaminate the water supply simply by existing. Toxic heavy metals can occur in the water even without human mining operations. Coming full circleThe next time your turn on a faucet from a municipal water supply, you can be fairly certain that it once had tiny bugs living in it that have all been filtered away. You can also rest assured that toxic metals are not present. There are people who care about the health and well-being of our population. And the next time you go to the mountains, you can be sure of which water is really “mountain pure” and which is not fit for human consumption. Even the best new portable water filters will not remove heavy metals. Treat your drinking water from the buggy water. Because if water is life, there should be life in your water. MK Thompson is assistant for education, volunteer programs and visitor information services for San Juan Mountains Association, a nonprofit dedicated to public land stewardship and education.